These changes are scheduled to go live on May 17, 2014. We will contact you when the changes have been completed. Date of birth is required for all verifications and is now a mandatory field. The SSA-89 has no gender field and we removed the field from the application. You may not verify information that is not included on the SSA-89. If the verification is for a minor under age 18, you must obtain appropriate consent from a parent or court appointed guardian along with proof of relationship, such as child’s birth certificate and parent’s driver’s license or court document showing guardianship and a driver’s license. For online services, this is a Yes or No question. 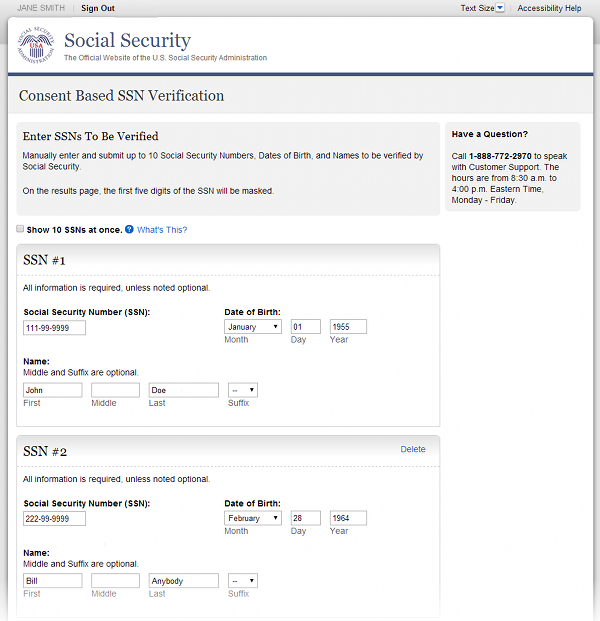 Web Service users must provide a Y or N in their verification request. See the Interface Specification documentation for more info. We discontinued the CBSV Batch service. 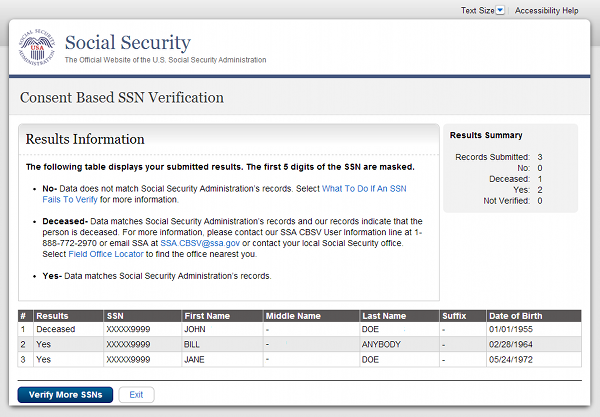 Updates to the online interface to reflect SSA’s standardization of data fields and interface usability and accessibility.